He’s here! I love him! He doesn’t have a name yet… I’m thinking Bartholomew or something like that. Isn’t he adorable?! I’m still working on everything.. But this is my first draft if you will. I’m thinking this and then the books in a stack. Maybe a little bitty demon if I can find one I like. 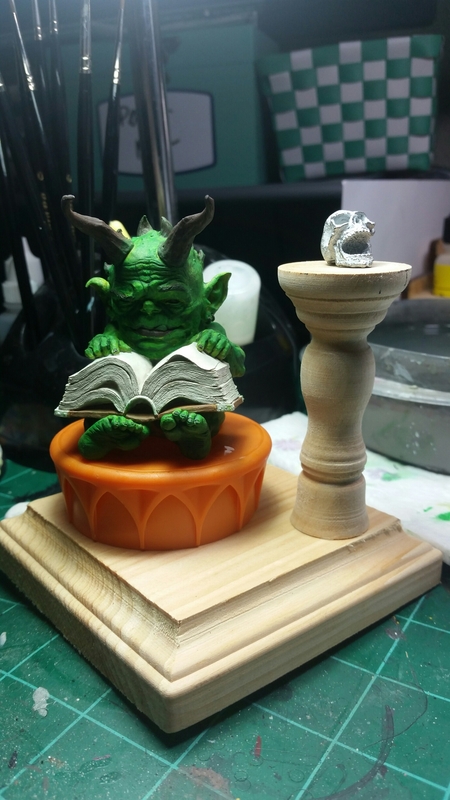 I sculpted those books, they’re not don’t yet, I still have to greenstuff around the rest of the spines and everything. I don’t think they turned out half bad! 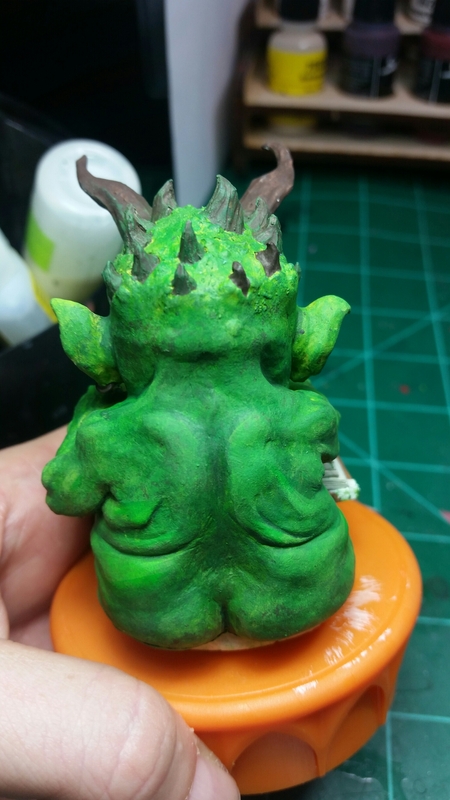 So, I have been working on something, just school and work and laundry keep getting in the way! I really like how you did the pages. It looks like paper. 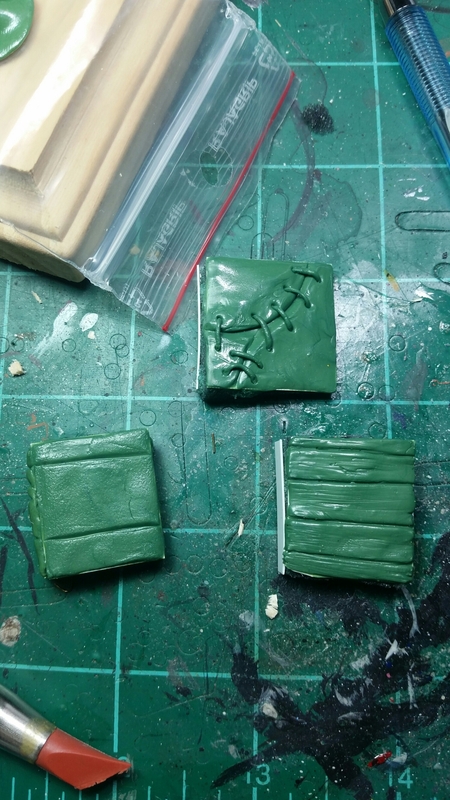 I like the sculpting of the covers so far, especially the crudely stitched leather bound one. Thanks! You don’t think the paper is too dark? 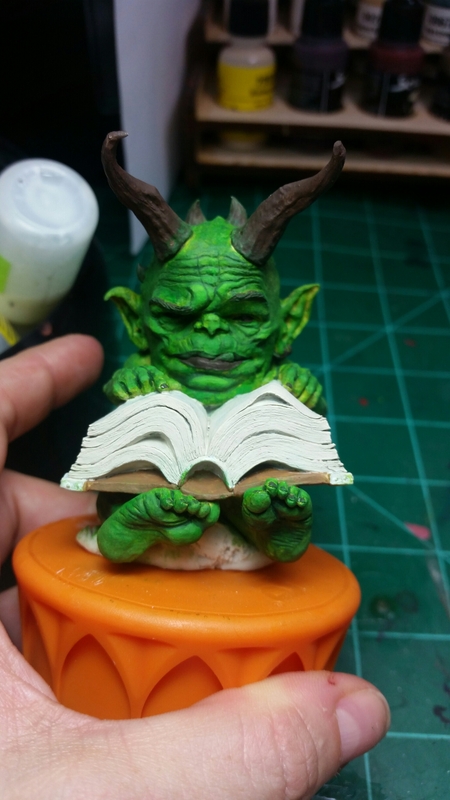 I would say it is too light and new for a forbidden tome, if anything. I think it does a good job as paper.